In our last blog, we discussed the results of the Advisory Board’s 2018 Annual Health Care CEO Survey, and that it was no surprise that cost control initiatives occupied the top 2 spots on this year’s list of CEO priorities. The 146 hospital and health system leaders that participated in the survey are clearly searching for long-term solutions to improving their hospitals bottom line while maintaining quality of care. With sixty-two percent of survey respondents citing “preparing the enterprise for sustainable cost control” as the top priority, this was the highest ranked concern of any in the last four years of the survey. The second major concern identified by hospital executives was the need for “innovative approaches to expense reduction.” Ongoing financial pressure and continued growth in competition from non-traditional health care providers and specialty facilities, is forcing hospital leaders to increase their focus on identifying new strategies for reducing costs. These findings are consistent with the work we do with hospitals, and we wanted to share some examples of how some hospitals are already making great headway against the priorities identified in the Advisory Board Survey. 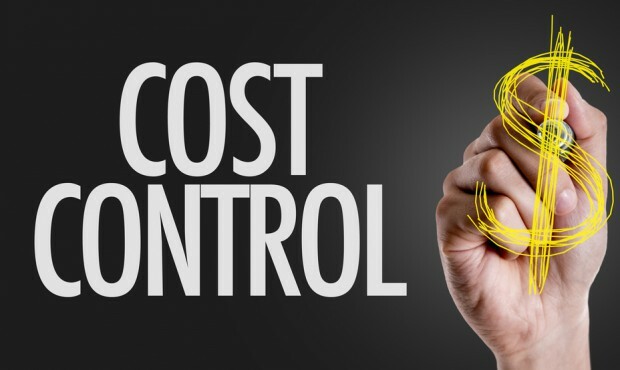 The top priority identified in the Advisory Board survey – “preparing the enterprise for sustainable cost control” – should be a growing concern for hospital CEOs given that many have exhausted the bulk of their short-term cost savings opportunities. The only way they can find new ways to reduce costs, is to focus more attention on long-term opportunities for structural cost reduction. This means implementing cost control strategies with recurring, positive impacts on the organization’s bottom line and reducing reliance on one-time cost cutting efforts that are non-repeatable and force hospital staff to constantly have to replace last year’s cuts with new ones each year. While implementing sustainable cost control strategies may seem like a daunting task, it is often easier than you think and may simply require being willing to think a bit differently about things you do every day to unearth meaningful savings. Consider this example of a 350-bed community hospital that saved more than $1 million by renegotiating the cost of their imaging service contracts even though there were still more than 2 years left before they expired. Instead of waiting until the agreements expired, the hospital used information that indicated they could reduce the cost on more than 70 of the systems being covered, and enlisted the help of their supplier to reduce their annual cost by $213,000 or a 16.7% of costs that were budgeted and being paid every month. In addition to better pricing, the hospital consolidated multiple contracts covering different equipment into a single master, service agreement with improved scope and coverage and better terms and service reliability – additional value and savings for the hospital. This is a good reminder of how forward thinking hospital leaders can uncover new ways to answer the question of “how do I reduce my costs?” and improve their cost structure and set their organizations for long-term success. 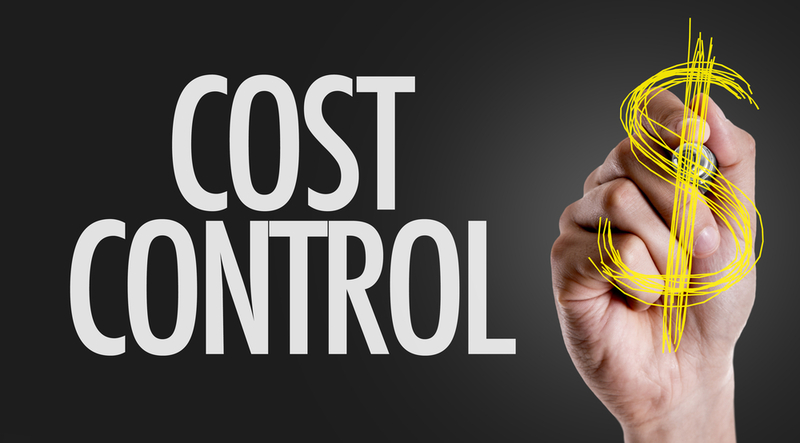 In addition to sustainable cost control strategies, hospital CEOs also cited a need for “innovative approaches to expense reduction” and new (and potentially less conventional) sources of cost savings not always visible in their operating budget. Continued growth of non-traditional healthcare providers and the rapid expansion of specialty and non-acute facilities just adds competitive pressure for hospitals who are responding by adapting their care models, tightening budgets, and in some extreme cases, limiting or even eliminating certain clinical services lines that may not be sustainable. This doesn’t have to be the case. A great recent example from a 400-bed regional medical center resulted in a 98.5% cost reduction in a routine cost for maintaining X-ray equipment. The hospital found that they were buying a replacement part for a portable X-ray system on a regular basis that required purchasing an entire bundled parts kit from the OEM for $1,000. A creative minded clinical engineering manager realized that they could likely produce the part themselves, utilizing a 3D printing service provider who was able to produce the part “on-demand” for just $15. How many opportunities to cut a routine cost by more than 98% does any business have? Not only did the savings benefit the hospitals bottom line, but the on-demand availability of the part allowed repairs to be completed more quickly and reduced system downtime – an added benefit for the hospital and its patients. This is one of many innovative and easy to implement cost cutting solutions hospitals can take advantage of to find and realize savings in places they may not have previously considered. Are hospital leaders ready for the challenge? Is the mounting financial pressure sufficient to motivate the substantive changes in thinking… and action – that will be required to drive their organizations to find the sustainable and innovative cost savings the Advisory Board Survey identified as a top priority. Hard decisions can often lead to the greatest impact, but hospitals must be willing to consider new ways of addressing cost reduction if they expect to realize a different (better) outcome. We hope hospital leaders take note of their colleague’s opinions as they work to restructure costs, and consider new ways of realizing the savings that are vital to the future of their organizations. Looking ahead, continued tightening in the labor market, anticipated inflation, and growing uncertainty about the future of reimbursements, will all exacerbate the pressure on hospital leaders to act on the saving imperative highlighted by the survey results. As a company focused on helping hospitals reduce costs – in our case the many different costs to purchase, maintain and replace clinical and IT equipment that add up to the total cost of ownership (TCO) over the life of equipment – we see hospitals struggle to balance the need to adopt advancements and innovations in technology that are critical to care delivery and can provide amazing clinical solutions for patients, but can come with substantial costs. Many hospitals don’t have a good picture of their equipment related costs, and a TCO approach to managing costs is another strategy hospitals can use to address both sustainable and innovative cost savings and adopt best practices that can deliver the results they need. In our next blog, we’ll talk more about what TCO means and how it can help hospitals address the changing financial reality that necessitates action. Peter Robson, Miga founder and CEO, is passionate about the opportunity to reduce the cost of healthcare and founded Miga with a vision of transforming the market for medical equipment. Peter oversees day to day operations and leads business development, expanding Miga’s network of clients, suppliers and strategic partners around the world.